Spring is nearly here, and it’s time to get ready for the warmth of sunshine and brightness of flowers again. Adjusting to a new season in your home is a layered process, but the very first step is to build the feel of the room starting with the sense that is closely tied to memory -- your sense of smell. Let your oil diffuser and candles get to work! Create a happy vibe using citrus scents. It’s time to let the natural sunlight beam through the windows, and share some happy vibes we’ve been missing this dreary winter. Start with scents with citrus smells like tangerine and lime that will help brighten the living room. Create a dreamy vibe using floral scents. Nothing says springtime like sweet florals. Use scents like ylang ylang and geranium. Wash your comforter with lavender-scented soap to create the ultimate floral, but herbal sleepy habitat. Create a clean vibe using crisp scents. Cut through the scent of holiday leftovers with crisp, clean scents like grapefruit and bergamot. Leave your kitchen feeling a little more clean by introducing the strong, but not overwhelming, scents like clary sage and sandalwood to your always-present kitchen candle. Create a productive vibe using energetic scents. It’s time to spring clean, and you need a little motivation to get up and go! 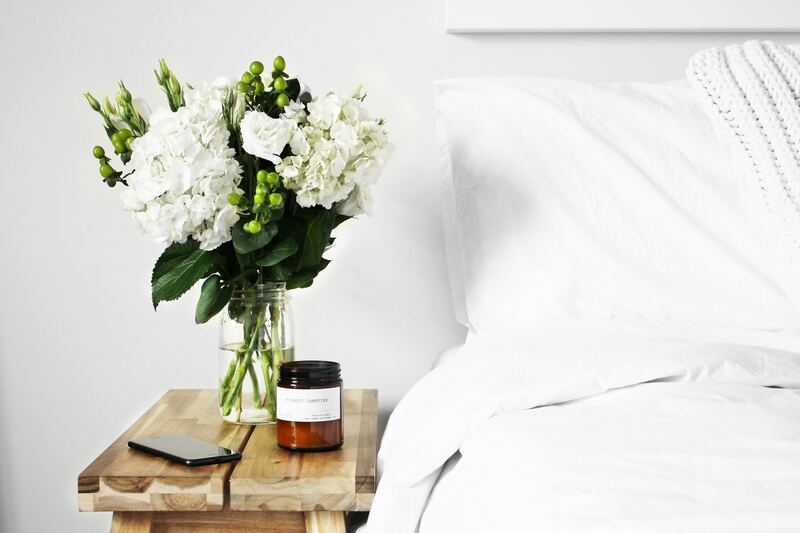 Prepare your spare bedrooms for springtime guests with some pep in your step by opting for a scent with traces of eucalyptus and lemongrass. Your friends will appreciate the energy-giving smells during their spontaneous spring break visit.